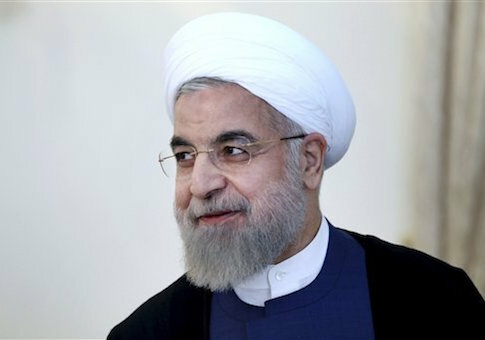 Iranian President Hassan Rouhani warned the United States on Wednesday that there would be a "serious reaction" from the Islamic Republic if the Obama administration does not make good on promises to grant the country expanded sanctions relief under the recently implemented nuclear agreement, according to regional reports. Rouhani’s warning comes as the Iranian military boosts its presence in the Persian Gulf, with senior leaders declaring that the United States is "terrified" of Iranian military prowess in the region. "We should monitor and verify the other side's performance," Rouhani was quoted as saying by Iranian state-controlled media following a cabinet meeting in Tehran focused on the nuclear agreement. "If we see any lagging and shortages from the other side, we should certainly show serious reaction." Rouhani issued the warning after Iranian Foreign Minister Javad Zarif and Secretary of State John Kerry held a meeting in New York to discuss Iran’s frustration over what it claims is a lack of access to international markets following the nuclear deal. Iranian leaders in recent weeks have begun working with European partners to pressure the Obama administration into grating Iran access to the U.S. financial system and dollar. The Obama administration moved to reassure Congress that this type of access will not be granted to Iran as part of the nuclear deal. Iran’s foreign ministry said that Kerry and Zarif discussed these issues during their powwow in New York on Tuesday. "Different issues related to the implementation of the U.S. undertakings and removal of obstacles to Iran to fully use the nuclear deal's advantages were discussed during the Tuesday meeting," Hossein Ansari, Iran’s foreign ministry spokesman, was quoted as saying Wednesday morning. Kerry and Zarif are expected to meet again on Friday to hash out outstanding differences regarding the nuclear deal. Meanwhile, Iranian military leaders on Wednesday touted the Revolutionary Guard Corps intelligence and combat abilities in the Persian Gulf region. "The IRGC's might and power has grown to the extent that the Americans are terrified when they come across our vessels and this powerful presence exists in the sea, sky, space and land," General Mansour Ravankar, an IRGC Navy commander, was quoted as telling the state-controlled Fars News Agency. "The IRGC Navy is present in the Persian Gulf and the Strait of Hormuz region with full power," he said. This entry was posted in National Security and tagged Hassan Rouhani, Iran, Iran Nuclear Deal. Bookmark the permalink.